This project in South County Dublin was recently completed in collaboration with Woodale Design. Brazil Associates Architects designed both home and all of the interiors, which are truly magnificent. Desert Silver Suede Silestone was used on the island and Charcoal Soapstone Suede Silestone was used on the kitchen perimeter and the cooker back splash. The mix between the two different colours, works fantastically with the intricate navy woodwork panelling and doors. 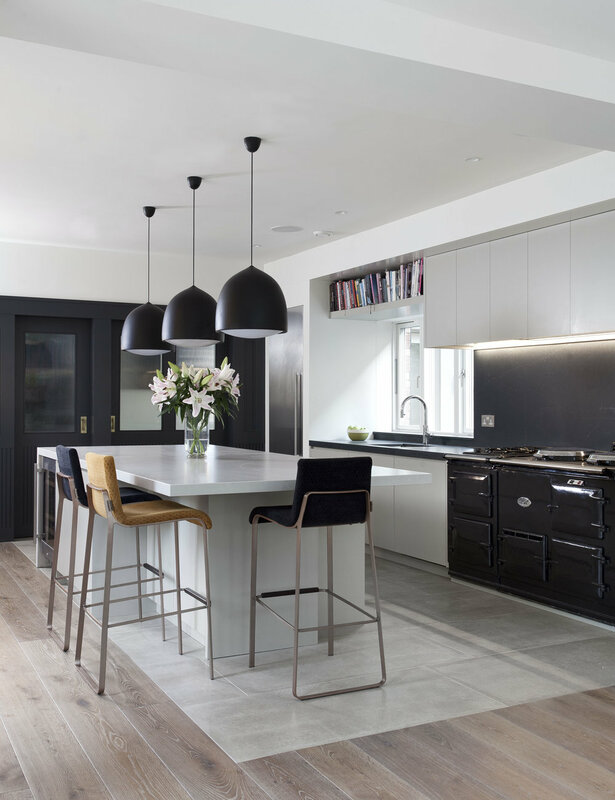 This kitchen is functional and practical, yes it oozes a really luxurious contemporary feel and we absolutely love it.